Here are the coupon specials for the latest carpet cleaning deals. To use these coupons, we'd prefer you simply tell our friendly office staff which of the coupons you'd like to use while scheduling your appointment. They will mark it on your appointment. Use the promo codes listed next to each coupon to let us know which one you want. However, if you don't find out about the coupons until after you've scheduled, feel free to print the coupon you'd like to use and give it to the technician at the time of your service. Minimum charge still applies. This means, that if you decide to use the $10 off coupon on a purchase of $84.99, your end price will be still be $79.99, not $74.99. Check back often to see if we've added any other deals. 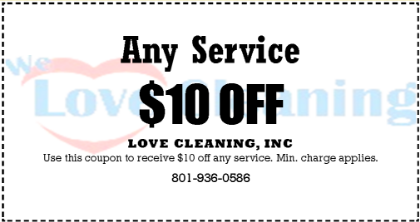 Use this coupon to receive $10 off any service above the minimum charge. 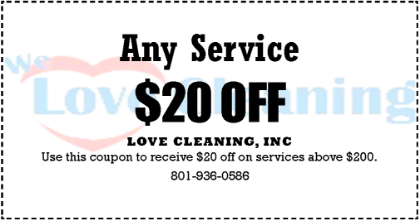 Use this coupon to receive $20 off any purchase over $200. 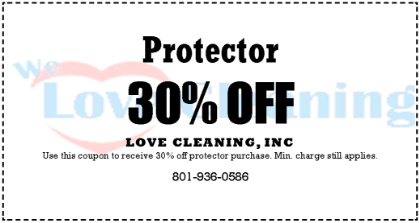 Use this coupon to receive 30% off any protector purchase. Minimum charge still applies. We look forward to hearing from you soon for all your carpet cleaning needs.